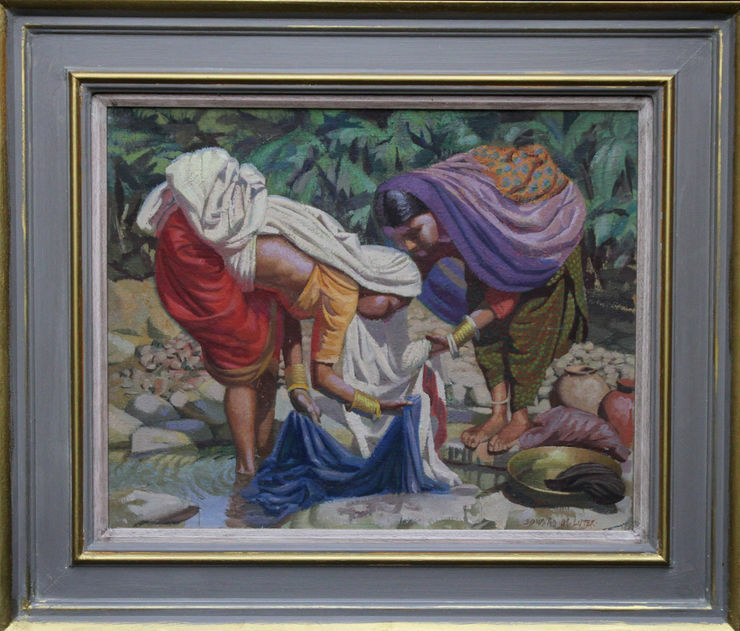 This very vibrant Post Impressionist oil painting is by noted British artist Edward d'Arcy Lister. 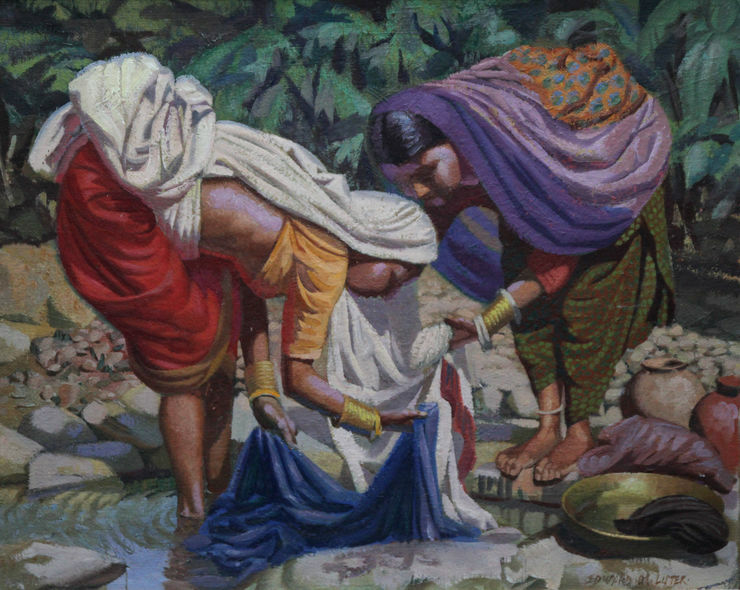 Painted circa 1950 this figurative painting is of two Indian women washing clothes in a stream. Lister captures their colourful garments perfectly against the lush green background and uses lilac as highlight to stunning effect. Housed in a gallery frame of complimentary colours, 28 inches by 24 inches, in good condition.